Foodpanda is the leading online food ordering platform, active in 27 countries. It helps restaurants to increase sales via its web and mobile platforms. Using cutting edge technology, it provides restaurants with the necessary business intelligence to understand their customers and market themselves better. Food Delivery offers consumers a web and mobile marketplace for customers to order from the widest culinary range that includes salads, pizzas, burgers and sushi and provides restaurants with the technology to process these orders and deliver it using the driver mobile app on the Foodpanda Clone. That’s amazing, right? Well then what are you waiting for, you can start this type of business in your own city and in your own country right now with the help of Food Delivery. 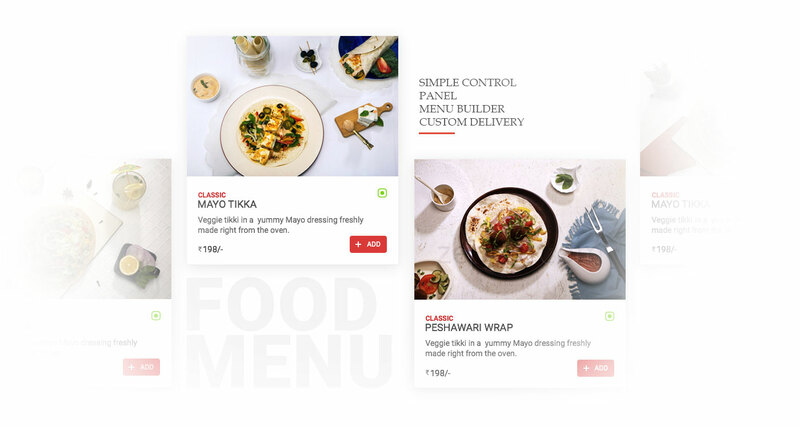 We have a complete in-house team consisting of a designer, developers and testers who can work with you to create your own version of Foodpanda leveraging our pre-built Foodpanda Source Code, saving you both time and money. It is important to manage your online food menu so that the order processing steps become easier. The online representation of your restaurant also needs to be simple and appealing. The easy to use admin panel of our Food Delivery Script helps in easy management of all the essential aspects of your restaurant. In order to make the work seamless, no HTML or any kind of programming knowledge is required. The menu tool needs to be easy so that the food items can be easily added to the website. When designing the menu tool, it is essential to remember that the images need to have high resolution, the food options should be high and the prices should be clearly mentioned. Having more options is a must for any restaurant to be in the business for long so that customers never feel monotonous. Setting up advanced options on special days is an added incentive for customers. When providing food delivery, it is important for customers to know whether they are a part of the food delivery zones. In our Food Delivery Script, it is essential that you set certain delivery perimeters that have geo-fencing features along with delivery fees based on their location under certain minimum orders. As a restaurant owner, it is entirely your call about the delivery zone that you set for your restaurant. But care needs to be taken that you inform your clients about the same. Our Food Delivery Script is all about convenience and it is important for restaurant owners to provide just that to their customers. The best form of convenience you can offer customers is by providing different order types. We have designers and developers who can set up an online store that will accept Pickup, Delivery, Dine-in, and Curbside. Having these features is the best way to handle multiple orders that come along the way. How does a restaurant ordering system work? Customer placing order from web/mobile Customers can place orders for their favorite dishes, right from the comfort of their choice through their web or smartphone, developed using our food ordering script. 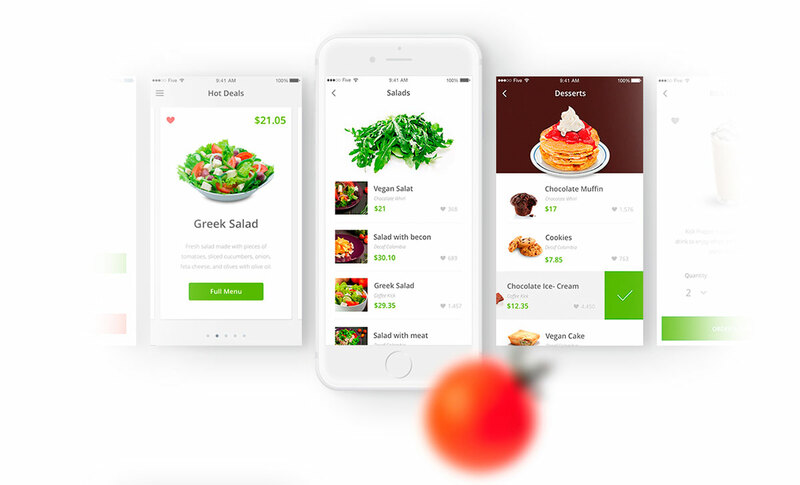 Restaurant receives order via web app developed by Food Delivery The restaurant management directs the order for food that the customer has placed, to the concerned restaurant, in a matter of seconds. Customer receives confirmation An acknowledgment of the food order takeaway is given to the customer, and he or she is informed of the expected time of delivery of the product. Restaurant starts to prepare order The necessary steps are taken to prepare the order and get it ready with perfection for the final consumption by the respective customer. Restaurant assign orders to delivery staff Delivery staff gets new order notification from restaurant to deliver the food to the concerned customer's place. The delivery staff updates the status to the restaurant as well as customers. Delivery staff delivers the food to customers The order is delivered to the address given by the restaurant. Once the delivery staff delivers the food, E-signature is received from customers and notification is sent to restaurant. The admin can have complete control over the ordering system. Also, can enable and disable access certain access to the vendors. You can easily manage cuisines and ingredients type from admin backend. Also, can keep track of each item. New vendors can be added to from the admin backend, as well as the vendor's item, orders, payments all can be managed. Manage your complete online food ordering page with back-end CMS and also can keep track of complete activity log. Your customer can write reviews and provide ratings for any restaurant. Also, they can mark favorites as a bookmark. The delivery staff can login with his respective username through his mobile device to check out that day's assigned orders. The reviews and feedback given by customers can be managed, as well necessary action taken upon for quality service.